The request came from Christine of The Gardening Blog. Christine and co-blogger Barbara garden in South Africa, and are therefore enjoying spring right now (after a brutal winter which required them to put on a sweater/jumper at least two times, and which lasted for about three weeks). It's a great blog to check out in the dead of our winter to get your fix of the green (if you get tired of checking out the archives of my blog). Note that I didn't do any tidying, weed pulling, or anything before taking these photos. 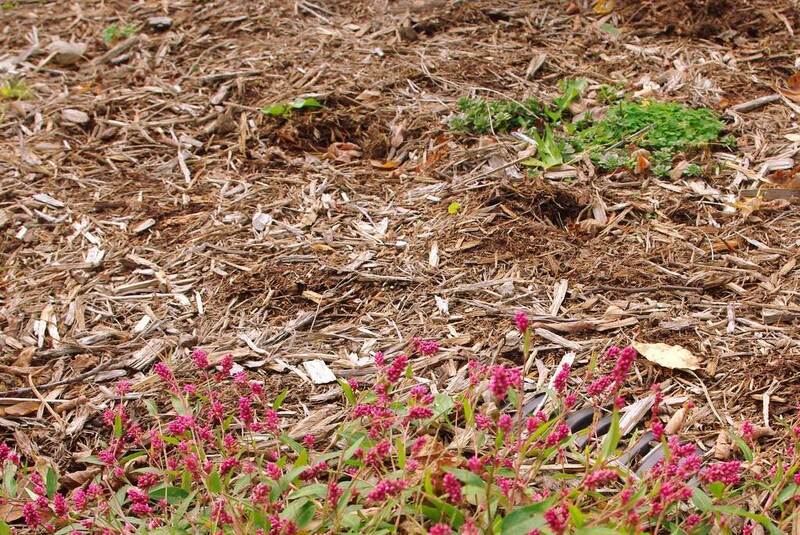 The first thing you'll notice is that the mulch has lost its fresh, rich color. This is expected, although it would look better if I "fluffed" it up a bit with a rake -- it would get back some of the darker color, but it still wouldn't look completely fresh. The second thing you'll notice is the size of the grasses. The purple fountain grass in particular is huge now. I planted three small clumps back then, and they really thrived. I'm amazed that they stayed so upright though, because the heavy summer rains usually flatten them quite a bit. Oh yeah, we didn't have any heavy summer rains this year -- just one storm that did knock them down, but they righted themselves for the most part. It was a very dry summer. I guess it's still possible to get around it to get to the stream and patio, so maybe I should clear the path. Who's going to be walking through here anyway though? 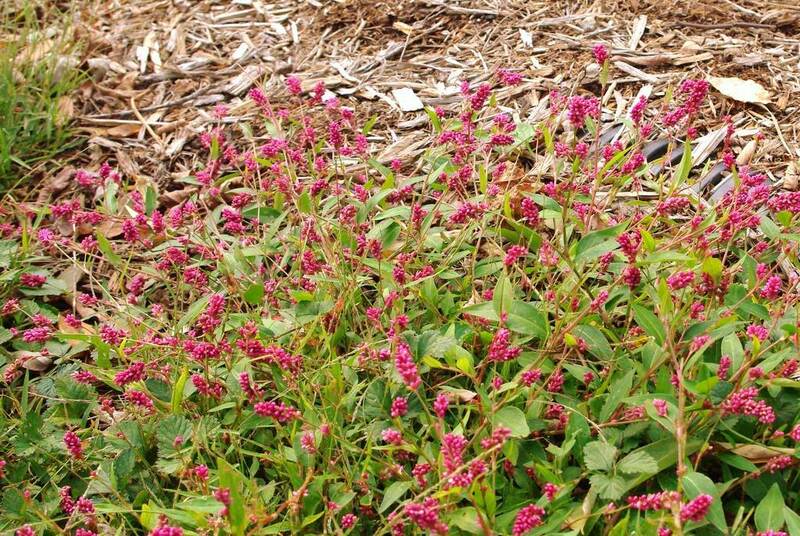 As you can see, the smartweed is everywhere right now as I haven't mowed for weeks. Not that the lawn doesn't need mowing, but the bees really like the smartweed "blooms", so I let it grow. It's quite nice looking when it's growing in large drifts I think. If only the violets, clover, and smartweed all bloomed at the same time... my lawn would look amazing! 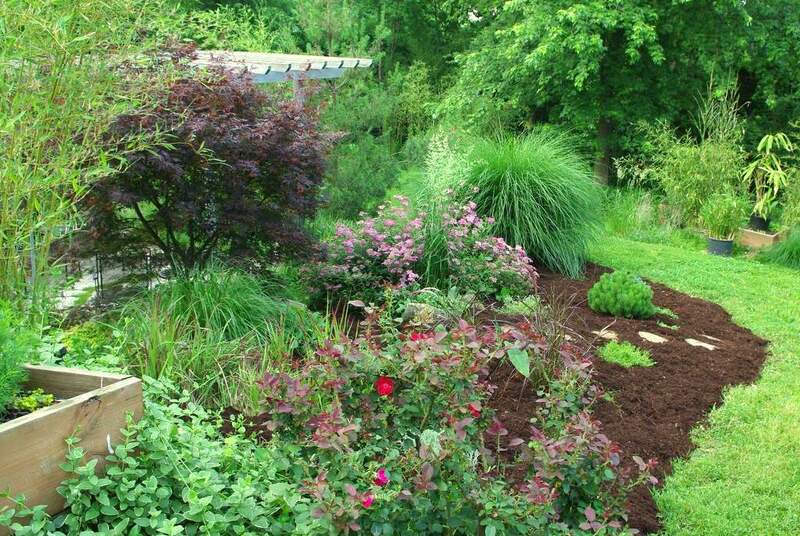 Although the bed doesn't look as "manicured" as it did back in June, I like it better now. Well, I guess I should say I like most aspects of it better. If I spend a few minutes tidying up a bit I'd like it better for sure, but in a few weeks everything will start going dormant so I don't know that it's worth the effort. Plus I've already shown it to you in its untidy form, so what's the point? 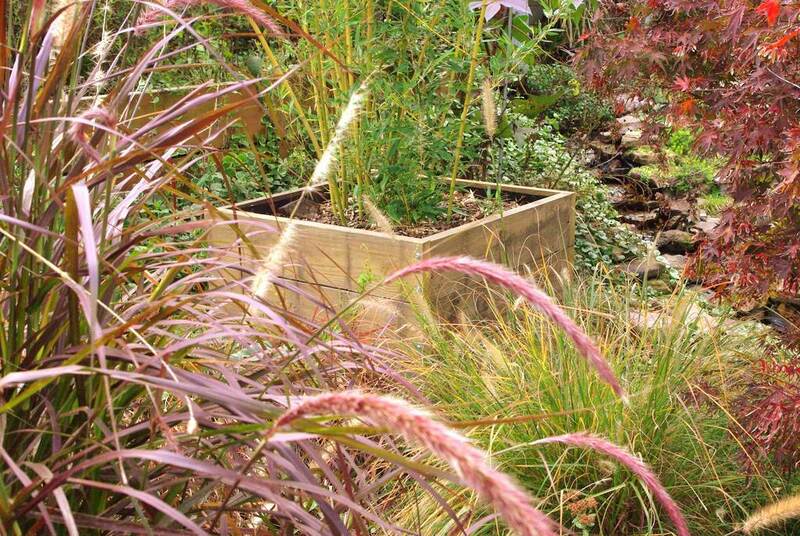 I do love that purple fountain grass though! I'm definitely growing it here again next year. So Christine, there you go. 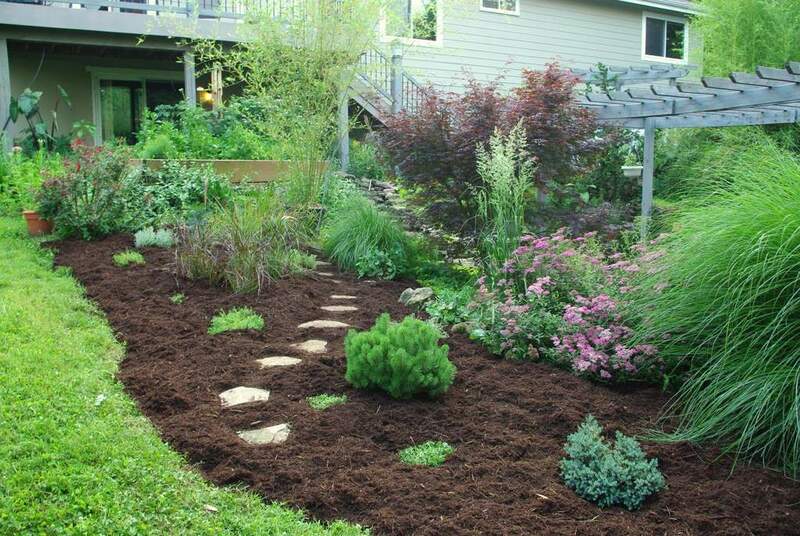 I know you've planted or will soon be planting several grasses in your own garden, so this is a little taste of what you can expect. Although I hope you keep things a little tidier than I do. 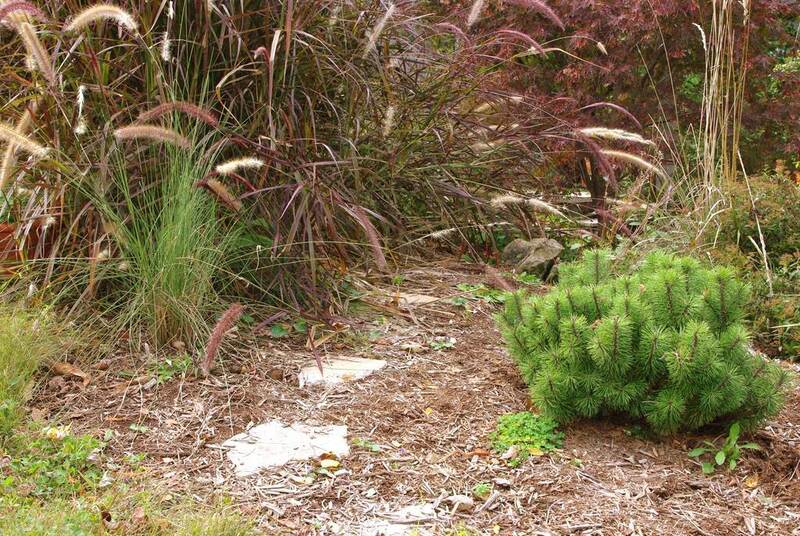 I also like the fountain grass, and there's good spacing, so there's room for more, if you wanted to fix the smartweed problem by going for a low groundcoverish (is that a word?) type of thing. 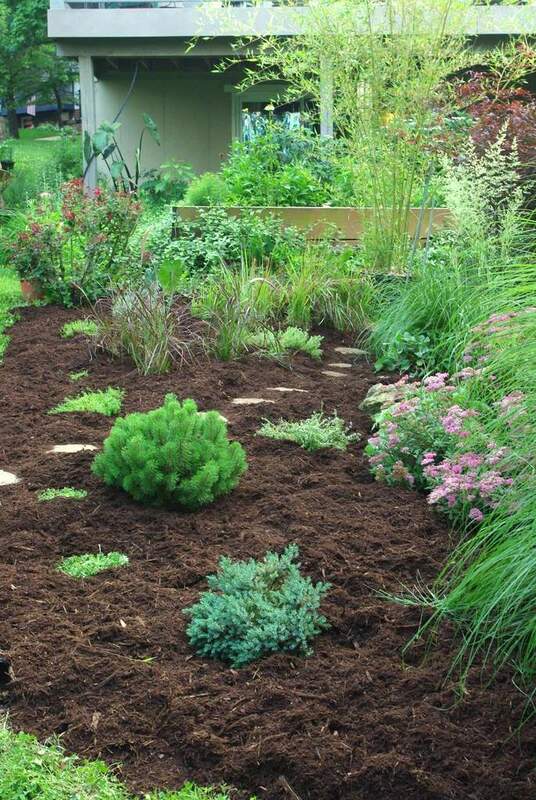 I like to see how other gardeners solve problems--thanks for the post. 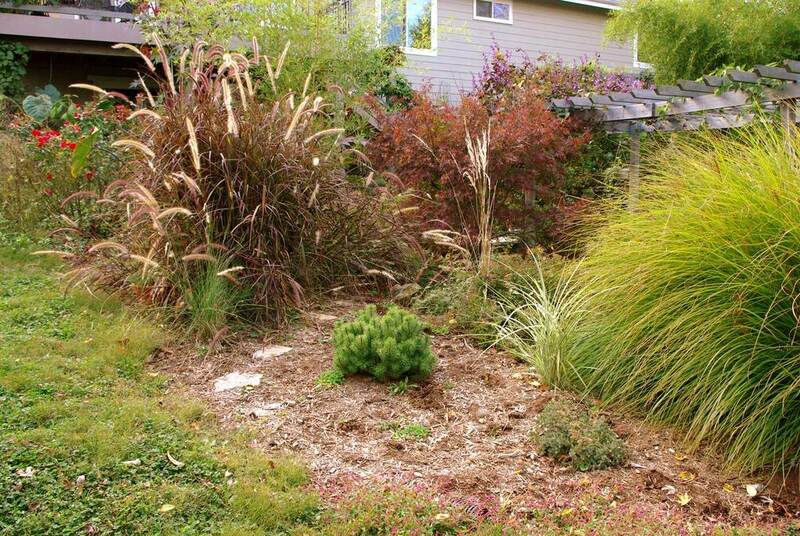 Oh my goodness, that purple fountain grass is STUNNING and I love the look of the whole bed. I also like the smartweed (never heard of that before) but I think it gives a wonderfully naturalistic feel to the entire area, which I love. I cant believe the size of the grasses, crikey they are huge - and stunning! I've planted mine and am really looking forward to them taking up space in my garden. Thanks so much for the update!! Really glad I asked, its amazing to see the difference. 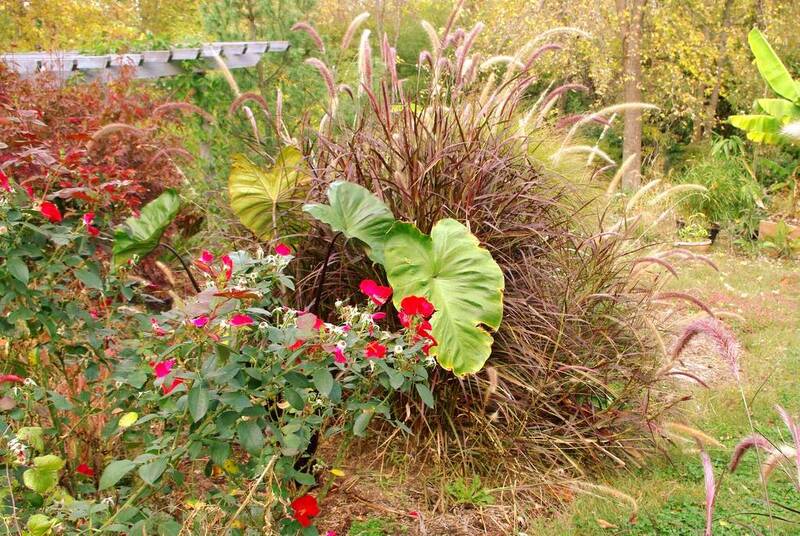 PS: Love the Elephant ear next to the grass in the last photo and the splashes of red in front of that ... looks fabulous! (I bought some "reds" today, hehe). I adore grasses. They fill in space nicely and inexpensively. I don't cut back until spring because I love to see the plumes in the snow...or blowing in a breeze. 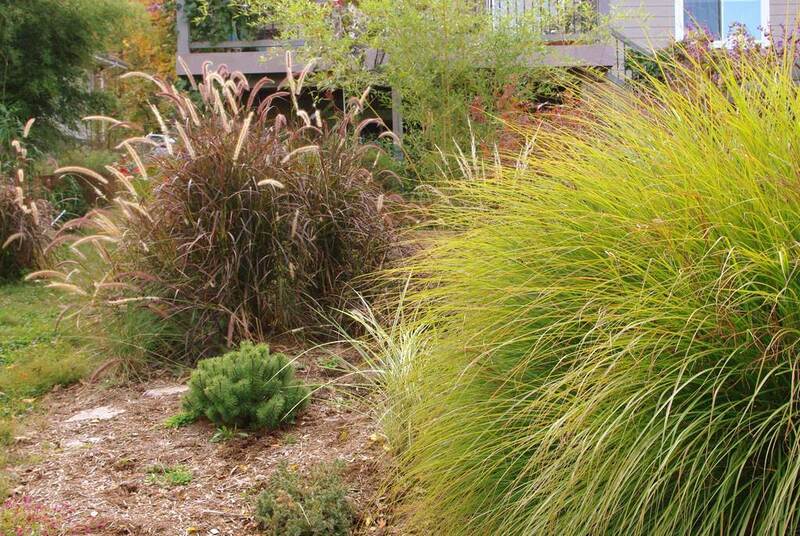 Nantucket: I always leave my grasses over the winter too. Not only do they look great, but they provide shelter for birds and other wildlife. Plus I like the "barriers" they create in the yard.